It is still early days into the campaign. I have approached two local independent bookstores. 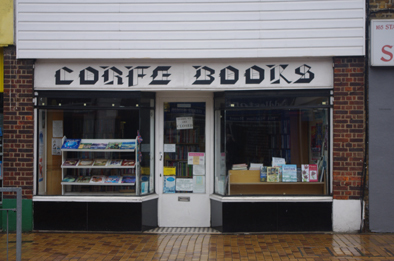 Corfe Books have held copies of Cogrill’s Mill for over a year now. The other, The Chertsey Bookshop, has two copies. One of the manager’s is reading it and says its good but they are yet to get back to me. I’ve sold ten copies directly to relatives in Bristol and began a new advertising campaign with Google’s Adwords. I am also waiting to hear from the editor of a local newspaper about the possibility of an interview. I still need to brush up on my selling techniques as I am reluctant to approach people I only know casually. I am also not sure that Jane Wenham-Jones’s tip for fly posting in local libraries and bookshops is a good idea as it could damage relationships with both. So glad to see my novel, “Cogrill’s Mill”, is still stocked by Corfe Books in Addlestone. The proprietor tells me that the shop is expanding to larger premises a few doors down. This is good news and bucks the current trend. Retailers like Corfe Books also carry out-of-print and second-hand books. Their survival should be encouraged and nurtured. 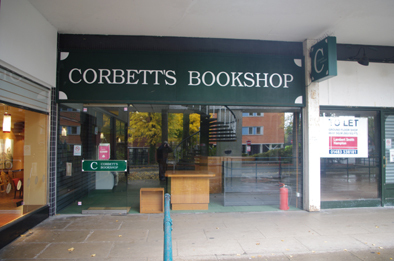 Not long ago another of my local outlets, Corbett’s Bookshop in West Byfleet, closed. It still stands with empty shelves, forlorn in the village shopping precinct. Large bookshop chains and supermarkets now dominate our high streets, which makes it so difficult for the small publisher to get their books noticed.